Was New York’s first menswear week a success? Big name models, all-American brands and the most relaxed series of shows in years – but did NYMFW do enough? This week, commercial American fashion giants like Ralph Lauren and Calvin Klein and upcoming NY labels like Public School and Gypsy Sport rallied together to take part in the very first New York Fashion Week: Men’s. The CFDA’s decision to organise the city’s very own standalone menswear week was considered an ambitious move when it was announced earlier this year – a bold statement of intent by the American fashion industry that it was ready to take its place on the global menswear calendar alongside London, Milan and Paris. The week represented American fashion establishing a more focused voice in the rapidly rising menswear industry, a lucrative strategy to showcase NY’s collective design talent, and addressed the frustrating disconnect between retailer’s buying schedules and American menswear calendars. While there is certainly a necessity and logic as to why New York Fashion Week: Men’s was established, it was also about building a solid foundation for the future of men’s fashion in the city. In order to measure the first season, we rounded up the week’s events – who showed and showed up? How and where did they present their collections? Did NYMFW succeed in what it set out to do – provide a long-lasting platform for the future of men’s fashion in New York? There was no doubt that New York menswear did what NYFW does best: the week was well funded, commercial and well-connected. New York Fashion Week: Men’s main sponsor, Amazon Fashion, signed on to sponsor future seasons, while some of America’s biggest exports like Coach, Calvin Klein and John Varvatos, returned from Europe to showcase an additional show or presentation in loyal support of their city. The CFDA also made sure that all the right people attended – going as far as to sponsor celebrities (the official ambassador of NYMFW was stylish American football player Victor Cruz of the New York Giants), buyers and international press to attend and cover the shows. Good organisation and overwhelming industry support made the first New York Fashion Week: Men’s a refreshingly non-stressful and streamlined experience – the official CFDA venue at Skylight Clarkson Square in Lower Manhattan served as the event’s central hub, showcasing most of the runway shows and presentations on the schedule under one roof. Shows started on time, were never tightly packed, flowed with food and drink and had noticeably less street style photographers hanging around. Perhaps being in its first season, New York Fashion Week: Men’s was underexposed to the general public, but the lack of outsider hype made it feel like an exclusive industry affair again. Operating carefully with a seasoned understanding of logistics, fashion week wisdom and proper curation, the four day event featuring more than 40 brands was a very respectable affair, and rolled out so smoothly there was little to complain about in terms of organisation, industry attendance or legitimacy. 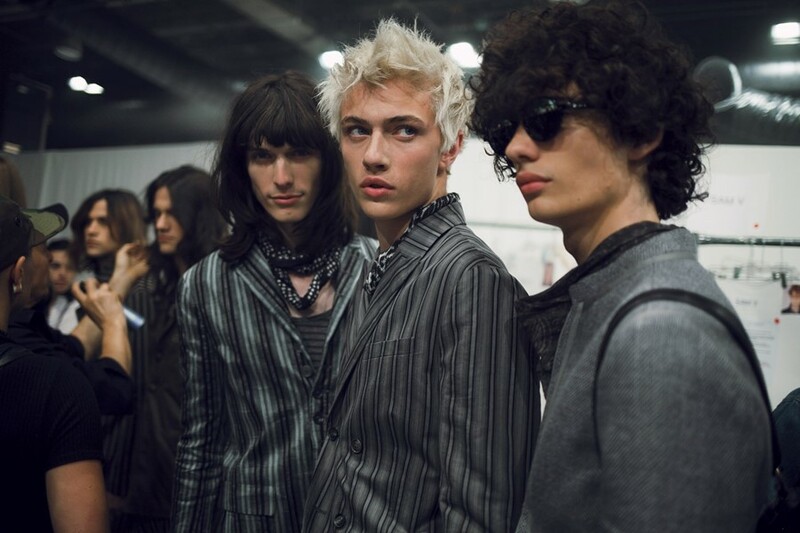 And there was plenty to see – Thom Browne put on a presentation in a mirrored box, models of the moment Michael Lockley and Lucky Blue Smith hit the runway for John Varvatos in skinny striped suits and loosely draped neckties, while Coach re-showed its smash SS16 collection inspired by psychedelia, West Coast surfers and punky Americana, first debuted last month in London. Public School, the duo now taking the reins at DKNY, displayed a minimalist, monochrome collection on models against a police line-up, while the all-American likes of Ralph Lauren and Tommy Hilfiger hosted presentations that paid tribute to the classic menswear they’re known for. NYMFW’s showcase had a higher ratio of commercial menswear brands, which meant fewer statement-making and emerging labels were on the schedule. But those who did stood out mightily amongst their peers – exciting moments included the celebratory, colourful and “gender neutral” return of NYFW fixture Duckie Brown, others cheered the sibling design duo behind Orley for presenting the eccentric, midriff-baring more directional half of their SS16 collection, and Greg Lauren’s (LA-based painter and nephew of Ralph Lauren) romantically tattered creations were all singular, hand-distressed pieces, made from rare textiles into artisanal clothing. Standing apart on the extreme end of the spectrum stood Gypsy Sport – a mob of pierced Harlem schoolboys wearing sportswear in pink and baby blue hues proudly waving their freak flags – stylistically, it felt entire generations younger than its peers but just that much more breath-taking to witness. 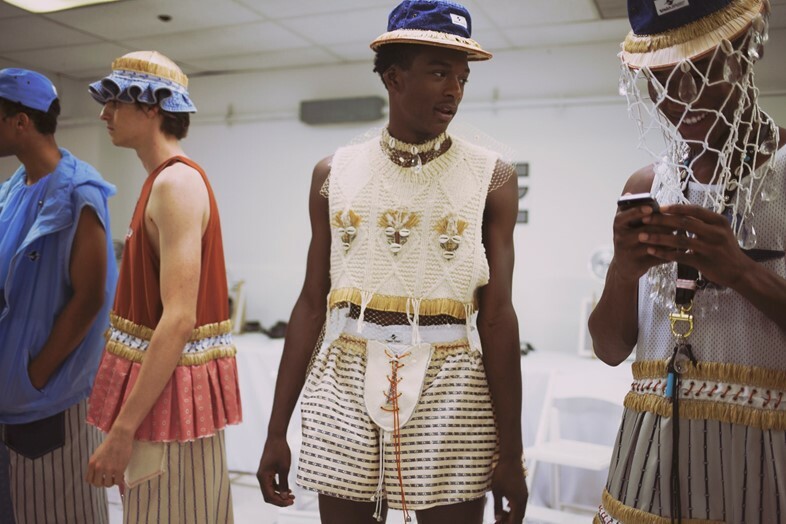 It’s this kind of diverse talent and vision the CFDA must continue to support and showcase in order to establish NYMFW as an exciting fashion week worth attending. New York is a city bursting with immeasurable cultural diversity, youthful ambition and undiscovered design talent flooding in from the West to East coast, realities and stories only this city is capable of telling. With the right balance of increased risk-taking, talent nurturing and rule-breaking, New York City as a fashion week capital cannot fail.